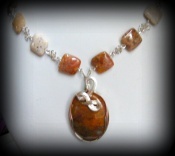 This pretty jasper necklace has pretty caramel color square beads with interwoven clover like handmade sterling silver links between the beads. 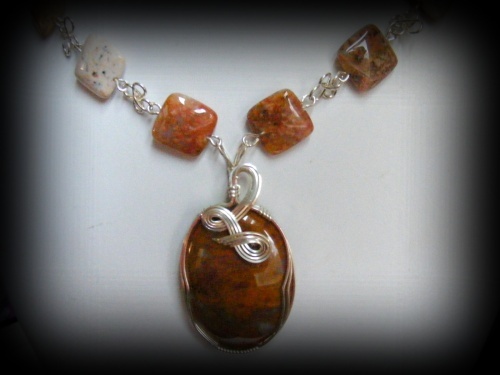 The focal is a pretty deep caramel brown and is designed with sterling silver curls. Has a beautiful sterling silver hook clasp. Comes with matching earrings. Measures 18" long.